rig up a rope swing in your back yard tree. get two friends to come over. have one swing you back and forth. have the other spray you in the face with a cold hose. rip up a couple $100 bills while you are enjoying the spray. a great video showing off an old Sunfish regatta. 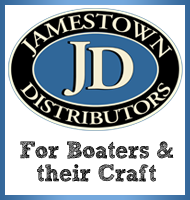 h/t: Small Boat Restoration posted this on the Sunfish Forum. 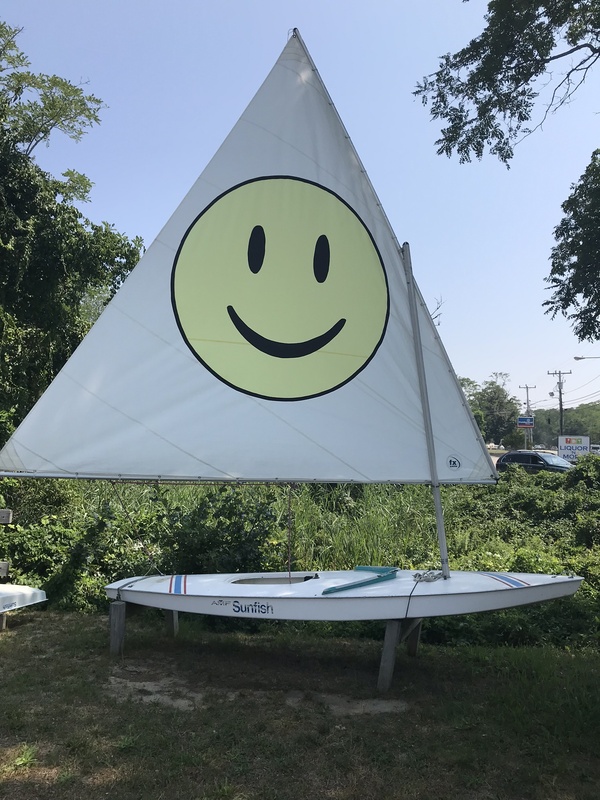 a Sunfish sailor Breeze Bender over at the Sunfish Forum came up with a very clever way to repair small holes and tears in their older Sunfish sail using insignia cloth instead of just normal sail repair tape. I love the random pattern and that they orientation used – it looks like a school of baby Sunfish floating randomly along, following the Mother Sunfish but each little ‘Fish is exploring a bit as they go, driven by the normal curiosity of youth. 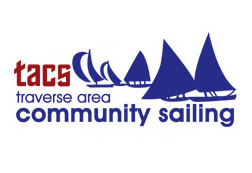 I’ve blogged before about making your own Sunfish logo, and I still have a plethora of leftover sail insignia cloth, so I’ll have to replicate this concept on some of my older Sunfish sails. 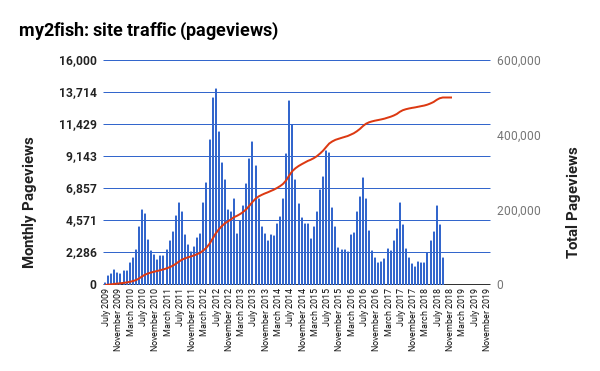 a couple weeks ago, the my2fish: Sunfish sailing blog passed 500,000 pageviews (all-time). it took a little under 4 years to reach 200,000, then a little over 1 year to get up to 300k, a little over 1.5 years to get to 400k, and then about 2.5 years to get the next 100k and get to the half a million mark. it is interesting (to me at least! ), to watch the ebb and flow of the blog visitors. 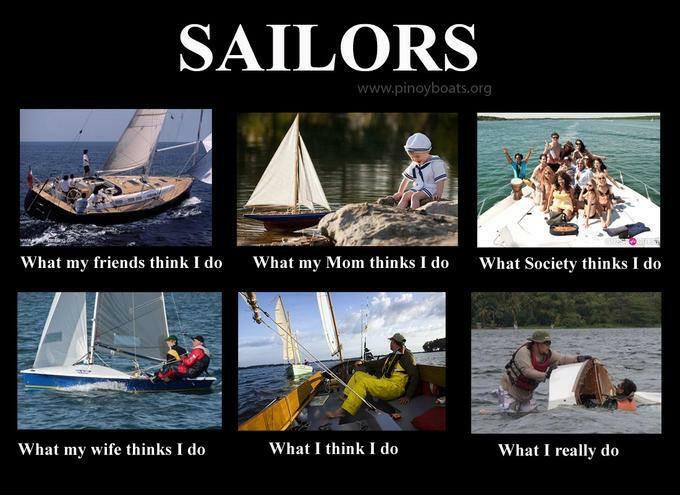 with a mostly summer sport, it definitely slows down during the winter – and then picks up quite a bit as the weather warms up – peaking in that June/July/August time when sailing is a bit more relevant to most people’s lives. for those who have just found the blog – thanks for visiting, and I hope you stick around a while! 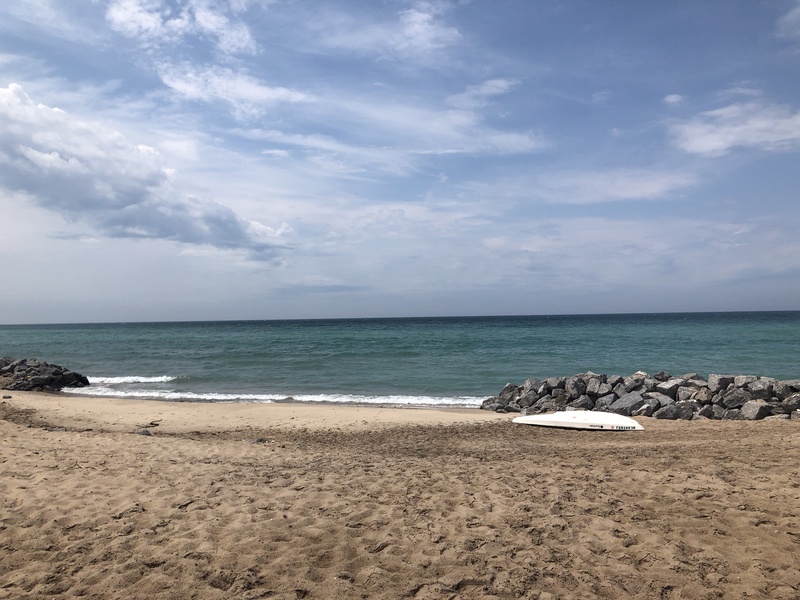 for those who have been following the blog for a long time – thanks for all the views, the comments, and the feedback over these last few years! I’ve had a lot of fun with the blogging, and I hope it’s been an interesting journey. similar to the 200k giveaway and 300k giveaway and 400k giveaway, I am having another cool gear giveaway to celebrate the 500,000 pageview milestone! for this give-away, it will be a brass Captain’s Whistle, made by Oceanus Brass. 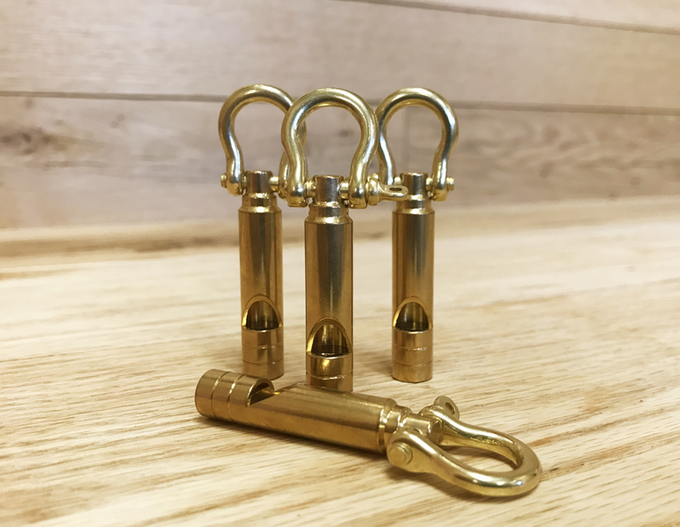 they currently have a Kickstarter campaign to fund a production run of the Captain’s Whistles and they’ve offered to give one to the lucky winner. if you recall, they also recently provided me with one of their bow-shackle pens, so I guarantee the craftsmanship of the Captain’s Whistle will likewise be amazing! so here are the giveaway details, rules, etc. to enter the contest, you need to leave a comment on this blog post (you can enter your name as “anonymous”, or whatever you like really) – but I will eventually need an email to contact you if you are chosen as the winner! no other specific requirement for the comment itself, but I will moderate as need be! multiple comments do not equal multiple entries! 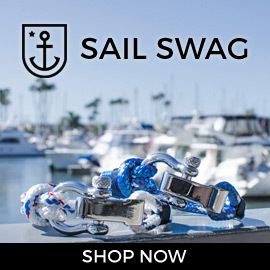 after 2 weeks, I will randomly select one person that has commented – and will coordinate with Oceanus Brass to get the Captain’s Whistle shipped directly from them to the winner. thanks again for visiting the blog! and let the commenting begin! full disclosure: the gift item for the give-away is a sponsored item provided by Oceanus Brass. how could you not have a big smile on your face if you’re sailing underneath a sail logo like this?! pic found at the Sunfish Forum, posted by Breeze Bender, and used here w/ permission.